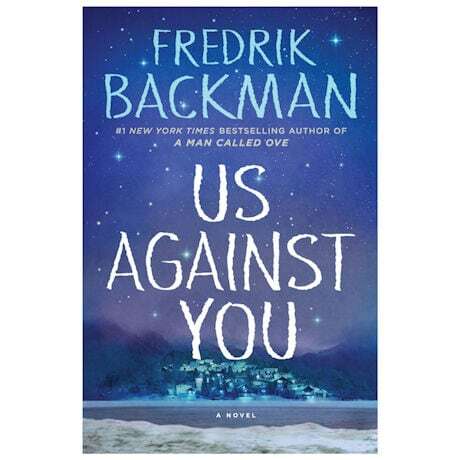 From the #1 New York Times bestselling author of A Man Called Ove and Beartown comes a heart-wrenching story of how loyalty, friendship, and love carry a tiny Swedish town through its darkest days. The citizens of Beartown are struck yet another blow when they learn that their beloved local hockey team will soon be disbanded—and the roller coaster ride of emotions that follows pushes the community to its limits. Hardcover, 336 pages. Shipping June 5, 2018. Fredrik Backman is the #1 New York Times bestselling author of A Man Called Ove (soon to be a major motion picture starring Tom Hanks), My Grandmother Asked Me to Tell You She's Sorry, Britt-Marie Was Here, Beartown, Us Against You, as well as two novellas, And Every Morning the Way Home Gets Longer and Longer and The Deal of a Lifetime. His books are published in more than forty countries. He lives in Stockholm, Sweden, with his wife and two children. "Backman is a masterful writer, his characters familiar yet distinct, flawed yet heroic…There are scenes that bring tears, scenes of gut-wrenching despair, and moments of sly humor…Like Friday Night Lights, this is about more than youth sports; it's part coming-of-age novel, part study of moral failure, and finally a chronicle of groupthink in which an unlikely hero steps forward to save more than one person from self-destruction. A thoroughly empathetic examination of the fragile human spirit, Backman's latest will resonate a long time." "Mr. Backman cements his standing as a writer of astonishing depth and proves that he also has very broad range plus the remarkable ability to make you understand the feelings of each of a dozen different characters…The story is fully packed with wise insights into the human experience causing characters and readers to ponder life's great question of who we are, what we hope to be and how we should lead our lives."